Livinghouse is a leading luxury bathroom and fittings supplier in the UK. Founded in 1991 as a family run business, Livinghouse are experts in high quality interior design products. Being one of the UK's leading luxury bathroom and bath fittings suppliers, LIVINGHOUSE has sourced some of the most sought after designer collections available. In over two decades, we have successfully led the market in contemporary bathroom design, fulfilling the design needs of many luxury bathrooms. * LIVINGHOUSE deals in exclusive European bathroom suites, freestanding baths, latest designer bathroom furniture from Italy, modern bathroom accessories which are luxury quality, contemporary electrical household fittings, steam room generators, wet rooms and lots more beautiful bathroom and interior design ideas. Our luxury bathroom suites includes limited editions of 16 superior suite ranges handpicked from some of the best designers and factories in Europe. They ooze superior craftsmanship, most of it originating from Britain, Italy and Germany. Other a la carte luxury bath products are freestanding baths, wash stands, toilets, bidets, bath fillers and designer taps, concealed cistern systems, heated towel rails, bath panels, shower trays, mirrors, cabinets, shower screens, glass and stone basins, bathroom TV fixtures and many other accessories. These high-tech bathroom solutions are available in both contemporary and classic styles to suit any type of high quality bathroom interior. 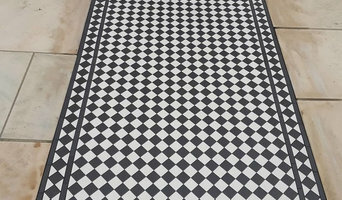 Well respected floor and wall tiling company based in Basingstoke, serving both domestic and commercial customers in London, Hampshire, and Berkshire. A Kitchen Niche specifically for Interior Designers. Product sourcing is a key attribute for the successful Interior Designer. With this new Niche developed exclusively with "Mereway Kitchens" you now have the ability to bring showroom quality kitchens to your own personal product portfolio. Enhance your own product portfolio with an enviable range of high quality kitchens, and create opportunity for higher profitability. Introducing Mereway Kitchens - Leading British manufacturer for the retailer "John Lewis" and luxury kitchen showrooms throughout the UK. 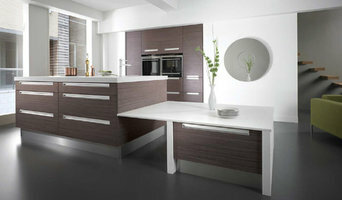 Mereway Kitchens are HOUSE BEAUTIFUL Gold winners, producing exceptional product quality and customer service. KBB Manufacturing awards in the "Sustainable Manufacturer of the Year category". The Hand Made Basin Company produce high quality hand thrown ceramic hand basins and single bowl sinks in a variety of styles and finishes. The Single bowl basins look great recessed into, or mounted ontop of vanity units and washstands. All of the vessel sinks and basins are hand made by David Rogers at Vinegar Hill Pottery in Milford-on-sea. Inderkitchen are a showroom based and online retailer of kitchen sinks, kitchen taps and kitchen accessories. Displaying a wide range of sinks and taps, in a variety of finishes we are truly able to add the personal touch to the purchase of your kitchen sink and tap. Deson designs, manufactures, supplies and installs high quality bespoke kitchens which have a distinct edge over high street competitors. They are supplied directly from the manufacturer and designed and built to customer’s exact requirements - maximising use of space, ensuring a clean, contemporary look yet without carrying a premium price tag. Bathroom Warehouse offers the largest showroom in Winchester and the surrounding area, so you’re sure to find the bathroom that’s perfect for you. It’s our belief that everyone should have the perfect bathroom. To get that, we think you need to be able to freely explore bathroom furniture and fittings. The Bathroom Warehouse showroom is designed to inspire you, stocked with only high quality products that you can touch, tap, open and close to imagine how the pieces will look in your home. From the beginning in 1919, Croydex traded as the New Croydon Rubber Company. It was well known as a key supplier of household items to the ironmongery and houseware trades. Significant milestones in the history of the company were marked by product introductions, such as the ‘Sham-mix’ shampoo spray in 1934, a concept still proudly marketed and sold today. Continuing the theme of market leading patented innovations, the Twist ’N’ Lock range of suction fix storage and bathroom accessories launched in 1999 has continued to evolve, with the introduction of Twist ’N’ Lock Plus and the more recent Stick ‘N’ Lock Plus adhesive pad technology. With a change in times, came a change in name, with the Company renamed as Croydex in 1975. The logo has evolved over the years but is still as recognisable a brand as it was many years ago. Croydex celebrated 90 years of successful business in 2009, followed swiftly by the announcement of a new partnership with the Danish brassware manufacturer, Damixa in 2010. From our 5-acre site in Andover, Hampshire our in-house design team create leading edge, innovative new products with manufacturing partners, including the design of the unique Flexi-Fix fixing system in 2012 that has revolutionised the bathroom accessories market. With the launch in 2014 of our Sit Tight ‘Double-Fixed’ toilet seat and our “Rust Free” Wireware in 2015, we continue to lead in product design and innovation. Quality of products remain paramount to the business and this is evident from the emphasis we place on standards. Directly employed Quality Assurance teams span across the UK, Europe and beyond. Regular inspections are carried out ensuring that every product supplied to our customers meet the very highest of standards. Croydex continues to prosper in these ever changing markets, not only in the UK, but across Europe, the USA and beyond, and has developed to become a recognised brand of bathroom accessories and fittings. We provide DIY home audio and entertainment systems such as in ceiling radios, in wall radios, outdoor TV's and DIY multi room audio systems. Our systems are cost effective, high quality and easy to install. We aim to provide as much information as possible on home entertainment systems and we highly recommend wiring your house for sound whilst you can! What should I hire a Southampton, Hampshire kitchen and bathroom fixtures specialist for? Whether you are doing up a house you’ve moved into or you want to update your bathroom suite or fitted kitchen, working with a Southampton, Hampshire kitchen and bathroom fixtures specialist will be extremely helpful. Even if you want to source your own fitted kitchens and bathroom fittings from bathroom and kitchen showrooms, unless you are a skilled craftsman someone will have had to make the fixtures and unless you are a plumber you’ll probably need some help with installation! On Houzz you can find kitchen suppliers, manufacturers and installers of fixtures and fittings in Southampton, Hampshire to help with all aspects of the process. In the kitchen you can change more than just the sink and taps. Even without ripping out all the fitted kitchen units, you can still have bespoke kitchen doors made to replace the old ones and worktops laid over old surfaces or replacing them entirely. Instant boiling water taps, waste disposal units and induction hobs are just some of the gadgetry and convenient fixtures that are available for fitted kitchens from kitchen showrooms and suppliers. Take a look at the Southampton, Hampshire kitchen suppliers listed on Houzz to find out the sort of fixtures and fittings they offer. A bathroom isn’t a bathroom without its plumbing fixtures and good bathroom fixtures can make or break a home when it comes to selling potential. Take time to pick out bathroom fittings that work together; you can opt for a whole bathroom suite from a bathroom showroom or bathroom installer, but if you don’t want the overly matching look, a Southampton, Hampshire bathroom fittings specialist can help you choose individual but complementary pieces. Power shower installation can boost the appeal of your bathroom (no one likes a weak shower) and extra special features like his and hers sinks, shower body jets and roll top baths will give your bathroom style that added oompf. If you can’t stretch to extravagant bathroom fixtures you can still talk to a fixtures specialist about electric shower installation or installing a new toilet; it may seem like a lot of hassle at first, but when you leave it to a professional, all the hassle is taken off your hands. Many Southampton, Hampshire kitchen and bathroom designers will install or offer help with your fitted kitchens, bathroom fittings and fixtures, so if you want an all-in-one renovation service, you can contact these professionals on Houzz as well. Talk to kitchen showrooms, suppliers and bathroom stores to see if they offer their own installation service or can recommend a local Southampton, Hampshire installer for you. Here are some related professionals and vendors to complement the work of kitchen & bath fixtures: Kitchen & Bathroom Designers, Kitchen & Bathroom Fitters, Interior Designers, Cabinet Makers. Find kitchen or bathroom fixtures and fittings manufacturers on Houzz. 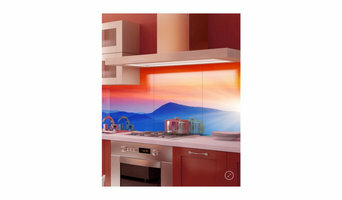 Check out Southampton, Hampshire fitted kitchen showrooms and bathroom fittings installers on Houzz. 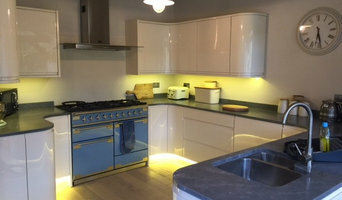 You can also look through project photos provided by Southampton, Hampshire kitchen suppliers, bathroom renovators, showrooms and designers to find fixtures you like and contact the professional who installed them.